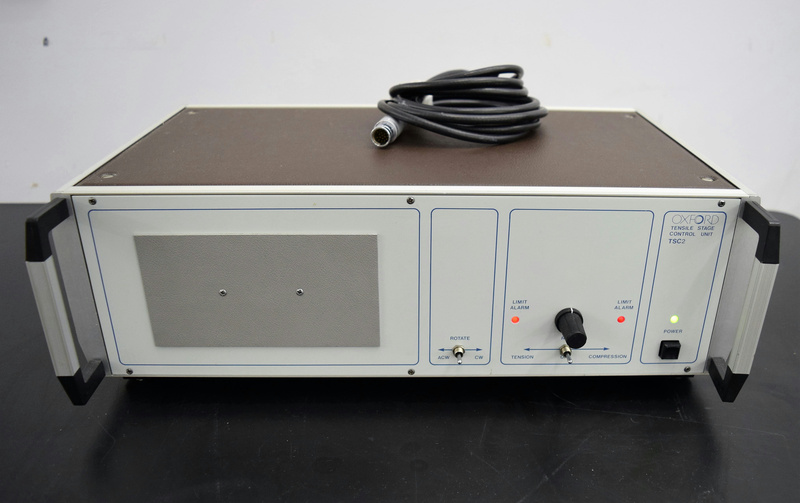 Oxford TSC2 Tensile Compression Stage Control Unit CT1500 Cryo Preparation SEM . New Life Scientific, Inc. This unit powers up and is in great cosmetic condition, but no further testing was performed. New Life Scientific technicians inspected this device and were able to power it on by holding in the power button. The power button will not stay pushed in. No further testing was done on this device. This unit powers up and is in great cosmetic condition. No further testing was done.